Justice Scalia’s death resulting in a vacancy to the Supreme Court brings out Republicans’ disregard for the U.S. Constitution. In a letter that totally makes their position clear, the Senate Judiciary Republicans say they will not even meet to discuss President Obama’s eventual nominee to the Supreme Court—let alone hold a hearing or a vote on the nominee. The position is despite the fact the U.S. Constitution makes clear that upon a vacancy to the high court, the President shall nominate with the advice and consent of the Senate. The position is despite the fact there is almost eleven months until the next president will be sworn in. This position is despite the fact there is no precedent for coming to their decision. Republicans are now making up the rules as they go along—except this is not a game. It makes a mockery of the U.S. Constitution and our laws. And the only reason is to ensure the balance of the court does not change hands. 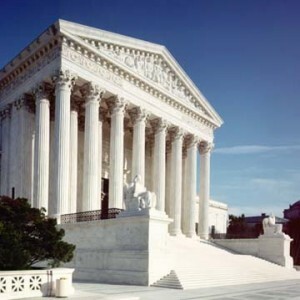 The Supreme Court is now divided and split 4-4 with Justices Sotomayer, Bader Ginsburg, Kagan and Breyer voting on the liberal wing and the remaining four usually voting on the conservative side of rulings. With a split in decisions, the U.S. Supreme court will be at a stall-mate—possibly for over the next year. Cases that have already been heard may end in a tie. This means the case decision from the lower court would stand. In some instances, that will bode well for liberals as in the case of redistricting. In other instances, it may mean the Texas abortion law will stand and all clinics will close. In other instances, it may mean that cases will be reargued at the Court’s discretion. And it will undeniably mean justice delayed might be justice denied. None of that matters to the Republicans. Since the 2008 election and day one of his presidency, the sole goal of the GOP has been to make President Obama a lame duck president. And despite their efforts, President Obama has always acted with grace under fire—making accomplishments for the American people. And so, this time will be no different. I predict that despite the efforts of the GOP, a nominee will ultimately be confirmed. And no matter what happens, it will be a win-win for President Obama and the Democrats. For starters, “Democracy Awakening” protests are planned on the Nation’s Capitol for three days—April 16-18. The rally consists of a Rally for Democracy with protests, a “Congress of Conscience” sit-in, advocacy at the U.S. Capitol and teach-ins. So far, attendees are coming from twelve states to call for the vacancy to be filled—as well as other measures such as curbing money in politics. The rally’s attention will help to underscore the importance of the Supreme Court. Until now, the average voter may not realize the importance of the Supreme Court. And it just may give enough attention to many of the State Senate and Congressional races on ballots this year. There are five Senate seats necessary for the Democrats to win back and control the Senate in 2017. The GOP actions in stalling and attempting to subterfuge the President’s constitutional rights may result in backfiring on them. No matter what the future holds, eleven months is a long time. And I would bet that President Obama has something up his sleeves to get his nominee appointed with or without the Republians. Washington, DC based Debbie Hines, a trial lawyer and former prosecutor, is admitted to the Supreme Court. The vacant Supreme Court seat due to the passing of Supreme Court Justice Antonin Scalia will likely be a win-win for Democrats should President Obama nominate an African American woman to replace Scalia. Republicans vowed to fight any nomination asserting that Pres. Obama should not nominate anyone. GOP leaders and presidential contenders strongly urge that the next President elected in November, 2016 should nominate the next justice. This would mean the country would be without the full highest court for approximately over a year—placing many cases and decisions in disarray. The inauguration of the next President will occur in January, 2017. And any High Court nominations would likely not occur until Spring, 2017, if a replacement is not confirmed in 2016. President Obama intends to nominate a replacement for Justice Scalia in the very near future- despite Republicans complaints. Currently, there are four liberals and four conservatives on the Court. A confirmation of a new justice would likely sway the balance of the Supreme Court. That’s the concern of the Republicans. However, the U.S. Constitution makes clear that the President shall nominate a successor, in the event of a vacancy. It makes no mention of any exceptions in an election year. In more recent times, Justice Kennedy, presently sitting on the bench, was confirmed in an election year- 1988. The tables were reversed in 1988 with a Republican President Ronald Regan and a Democrat Senate. Back then, Mitch McConnell urged the confirmation of Justice Kennedy in an election year. Now he claims the American people should have a voice–with the next election outcome. With the November, 2016 election looming, if President Obama nominates an African American woman (or man), it could energize the mostly anemic African American electorate. Neither the Clinton nor the Sanders camp has engaged the African American electorate in any meaningful way. At present, many African Americans still do not know or know much about Bernie Sanders. And those who know Hillary Clinton are not sufficiently aroused to bring out large numbers necessary for a win, should she receive the nomination. The idea of the first African American woman on the Supreme Court could be what’s needed to galvanize African American women. The voting block of Black women had the largest percentage of any voting group that helped to elect and re-elect President Obama in 2008 and 2012. Many Blacks are anemic or lukewarm, at best, towards Sanders and Clinton. The nomination of an African American woman to replace Justice Scalia would be a win-win for Democrats, whether confirmed or not. The possible backlash against Republicans would likely occur should a potential African American woman be denied confirmation or a vote. It could help to excite, albeit in anger, the necessary base that will be needed for a Democratic win in November. It would raise the stakes for November, 2016. And if an African American woman is nominated and confirmed in 2016, it too will likely raise the consciousness level of African American women. No matter what happens, should President Obama nominate Loretta Lynch, Kamala Harris, Leah Ward Sears, Bernice Donald or any other highly credentialed African American woman to the Supreme Court, it will engage the necessary Black voter base, needed for a Democratic win in November. Washington, DC based Debbie Hines is a lawyer admitted to the Supreme Court and former prosecutor. She is often seen in the media on Al Jazeera America, BET, CBS News, MSNBC, Sky News, Fox 5 DC among others. Her op eds appear in the Washington Post, Huffington Post, Baltimore Sun and Baltimore Afro American. She is a native of Baltimore, MD. With the passing of Justice Antonin Scalia on February 13, President Obama has a chance to make a lasting legacy upon the Supreme Court of the United States. The Supreme Court is now split with four conservatives and four liberals. With a lifetime appointment, there is an opportunity to impact our country for generations. And I urge President Obama to nominate an African American woman to the highest Court of the U.S. I do not ask for appointment of an African American woman justice because there has never been one to sit on the bench in its history since 1789. I certainly do not ask because of any quotas that Justice Scalia spoke of in terms of African Americans. I do not ask because Justice Scalia would turn over in his grave. I do not ask because Black women voted higher than any other group to re-elect President Obama in 2012. I ask because the bench needs to further reflect the diversity of our country, in terms of women and Blacks. The nine member bench currently has three women. And when Justice Ruth Bader Ginsburg was recently asked how many women will be enough sitting on the Supreme Court, her response was nine. And while I understand some Republicans already vow to request the nomination and confirmation wait until after November Presidential election, an appointment cannot wait over a year. The next president will not be inaugurated until January, 2017. And for obvious reasons, a nomination would not likely occur with a new President until spring, 2017. Now is the time. While some may argue that it will be impossible to get anyone appointed to the bench other than a staunch conservative to replace Justice Scalia, I argue to the contrary. I do note that it will be easier to get some persons through the confirmation process than others. For that reason, I will refrain from any dream team nominations suggested online by some folks such as Lanie Guiner or Anita Hill. I offer the following three choices for the first African American Supreme Court Justice- U.S. Attorney General Loretta Lynch, California Attorney Kamala Harris and Leah Sears Ward. These three women are prudent choices that might be able to make it through the Senate confirmation process. Attorney General Lynch was just recently vetted and confirmed. So the GOP already has her record. There are countless others who are qualified for the position. Leah Ward Sears is an African American retired Georgia chief justice who made the White House short list in 2009. In 2005, Georgia’s Leah Ward Sears became the first African American woman to serve as chief judge of a U.S. court. Ivy League-educated, she rocketed to the Georgia bench in 1992, becoming the youngest and first woman to serve on the Georgia Supreme Court. Coming from a military upbringing, Sears is known as one who is not afraid to speak her mind in a conservative state, dissenting on all Georgia cases involving death by electrocution as unconstitutional and inconsistent with decency standards. Sears is not without some debate. Despite having mostly liberal views, her friendship with another Georgian, Justice Clarence Thomas would be problematic with some Democrats. U.S. Attorney General Loretta Lynch’s greatest asset for nomination is that she has already been through the Senate confirmation process. Her term as Attorney General is one that will likely end with whoever is elected President in 2016. And my number one choice is California Attorney General Kamala Harris. 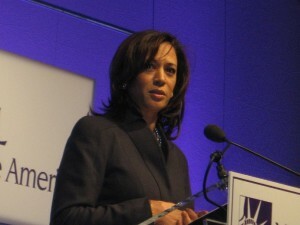 Harris is currently running to fill the Senate seat of Barbara Boxer. Prior to becoming Attorney General, she was elected in 2103 as District Attorney for San Francisco and formerly Deputy District Attorney for Los Angeles. She is the first African American and South Asian America to become California Attorney General. A rising political star, Harris may not want the position of Supreme Court Justice. Some speculate that her eyes may be on the Presidency one day. In the 227 year history of the Supreme Court, only four women have served. Of the eight remaining justices, only three are women and only one is African American. While I applaud President Obama’s selections of Justice Sonia Sotomayor and Elena Kagan, there is more work to do in order for the nation’s highest court to reflect our nation’s rich diversity. Women make up 50 percent of the nation; shouldn’t more than three women be serving on the high court? The President stated in 2009 that he wanted a justice with life experiences, high intellect and the empathy factor. “Experience being tested by obstacles and barriers, by hardship and misfortune; experience insisting, persisting, and ultimately overcoming those barriers . . . is a necessary ingredient in the kind of justice we need on the Supreme Court.” There are many suitable African American women lawyers and judges that would fit the President’s description. I urge President Obama to select the first African American woman to serve on the Supreme Court. For me, that would be President Obama’s lasting legacy. UPDATE: 6th U.S. Court of Appeals Judge Bernie Donald would make also an impeccable choice. She was confirmed by a 96-2 vote in 2011. 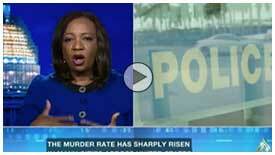 Washington, DC based Debbie Hines is a member of the Supreme Court bar and former prosecutor. She is frequently seen in the media on Al Jazeera America, BET, CBS, MSNBC, Sky News and Fox 5 DC. 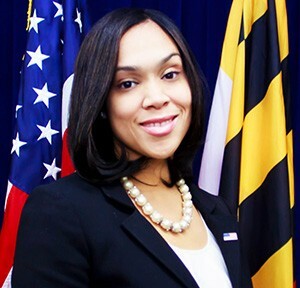 Her Op eds have appeared in the Washington Post, Huffington Post, Baltimore Sun and Baltimore Afro America. She is a native of Baltimore, MD. Are the Baltimore Police Officer Cases Going Down a Dark Hole? On February 4, Baltimore prosecutors appealed Judge Barry Williams’ decision that William Porter cannot be compelled to testify in the upcoming trial of officer Edward Nero charged with misdemeanor assault of Freddie Gray. For those who are not keeping score, 6 officers are charged. Three officers, William Porter, Caesar Goodson, Jr. and Alicia White are primarily charged with manslaughter with the van driver, Goodson being also charged for second degree murder. Porter’s case ended in a hung jury. Three arresting officers, including Edward Nero, William Garrett and Lt. Brian Rice are charged with misdemeanor assault, misconduct in office and other misdemeanors. Nero’s case was set to begin February 22 until the State decided to appeal Judge Williams’ ruling. Goodson and White’s trials are already on hold pending an appeal decision. Defense attorneys appealed Williams’ ruling in those two cases. The trial against William Porter ended in a hung jury in December. And the State offered Porter limited immunity to testify against Goodson whose case was scheduled for January. Porter’s case was rescheduled for June, 2016. Judge Williams ordered that Porter must testify in the State’s case against Goodson and White. And defense lawyers for Porter appealed. Those appeal arguments will be heard in March, 2016 before the Court of Special Appeals. The next cases up for trial were those of the three arresting officers, Edward Nero on February 22, and Lt. Brian Rice and Garrett Miller in early March. The prosecution, in what is likely perceived as a delay tactic, now says for the first time that William Porter’s testimony will be needed in Nero’s case. Porter doesn’t even arrive until after the three officers arrested Gray. Judge Williams denied the State’s request to compel Porter to testify in Nero’s case which prompted the prosecutors to appeal. I could be wrong but it looks like a delay tactic in Nero’s case so the appeals court can rule on the decision in Goodson’s case. There does not appear to be a good reason to delay the trials of Nero, Rice or Miller. Originally, the State sought to try the 6 officer cases in the order with the three manslaughter/2nd degree murder cases being tried first and then the three misdemeanor assault cases tried last. The mistrial of Porter threw a monkey wrench in that order. Now the State appears to be trying to buy time to get the cases back on track again. While no lawyer would have foreseen a mistrial, one did occur. Mistrials are highly rare. But with the next officer cases scheduled for trial, the State should have tried them. Sometimes you need to work with the hand you’re given. A delay is never helpful to the prosecution. Maybe the State doesn’t want to try Nero next because his case is a weak one. The strengths of the cases against Nero, Garrett and Miller are questionable at best. Charging an officer with a second degree assault, a misdemeanor, differs from charging a regular citizen. Police are given latitude to use some measure of force in effecting an arrest. While the videos do show Freddie Gray crying out in pain and witnesses excitedly uttering that Gray was injured, it does not necessarily amount to a second degree assault charge against the officers. The officers will undoubtedly allege that they used reasonable force to effectuate the arrest of Gray. And officers are judged by what is a reasonable standard for a police officer under the circumstances. From a strategical point of view, the delays now caused by the State in the case of Nero and perhaps Miller and Rice appear to show weakness in the three misdemeanor assault cases. And if William Porter was an essential witness in getting a conviction in the other 5 officer cases, then he should have been offered full and complete immunity to testify in exchange for no charges brought against him. The cases of Nero, Miller and Garrett should be tried without delay. These three trial delays are likely due to strategy and not substance. Washington, DC based Debbie Hines is a trial lawyer, legal/political analyst and former Baltimore prosecutor. She often appears in the media as a legal analyst on Al Jazeera America, BET, CBS, C-Span, Fox 5 DC, Sky News and MSNBC. Her op ed’s appear in the Washington Post, Huffington Post, Baltimore Sun and Baltimore Afro American. Update: Appeals before the MD Court of Appeals are set for March 4, 2016 in Annapolis, MD. There will be a live web broadcast.